24.11.17 - Aluminium Laufen AG has changed itself from a supplier of semi-finished products to a full-service supplier of tailor-made, ready-to-install extruded profiles. 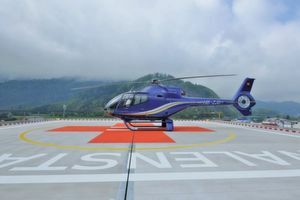 This benefits customers such as Europoles Suisse GmbH, which makes innovative mounting systems for streetlights and security cameras as well as helicopter landing pads. The two companies’ joint success story spans Europe, the Middle East and Korea.